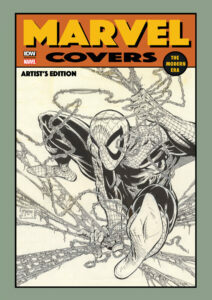 Volume two of Marvel Covers charts NEW territory—literally—featuring covers from the last 25 years! 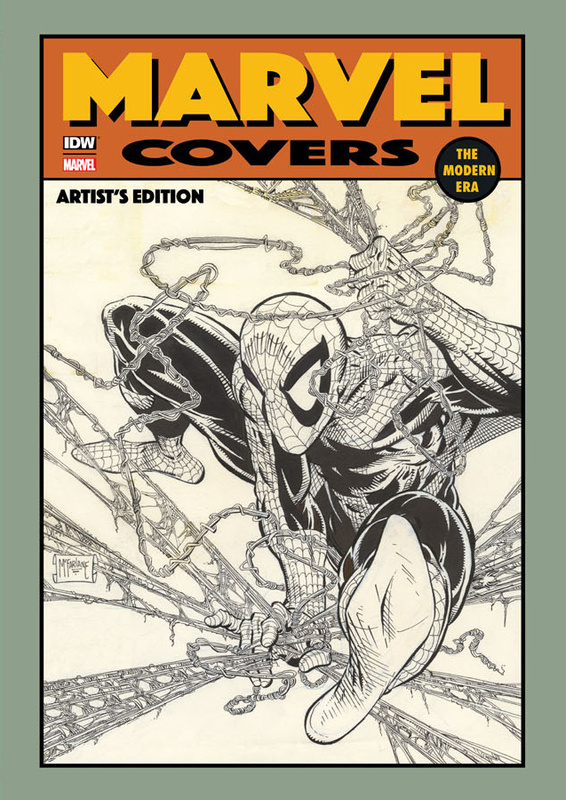 Included in this volume will be gorgeous selections by a vast array of talents as they interpret many of Marvel’s most iconic characters and titles! 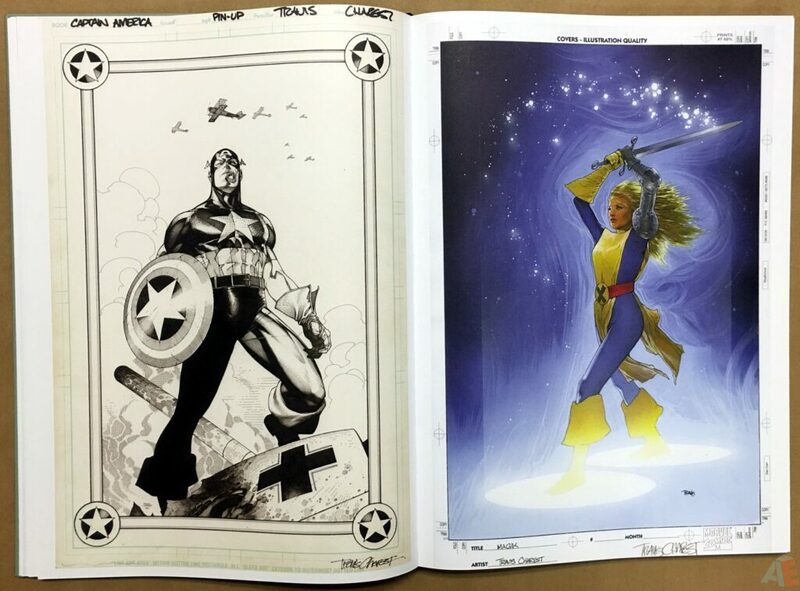 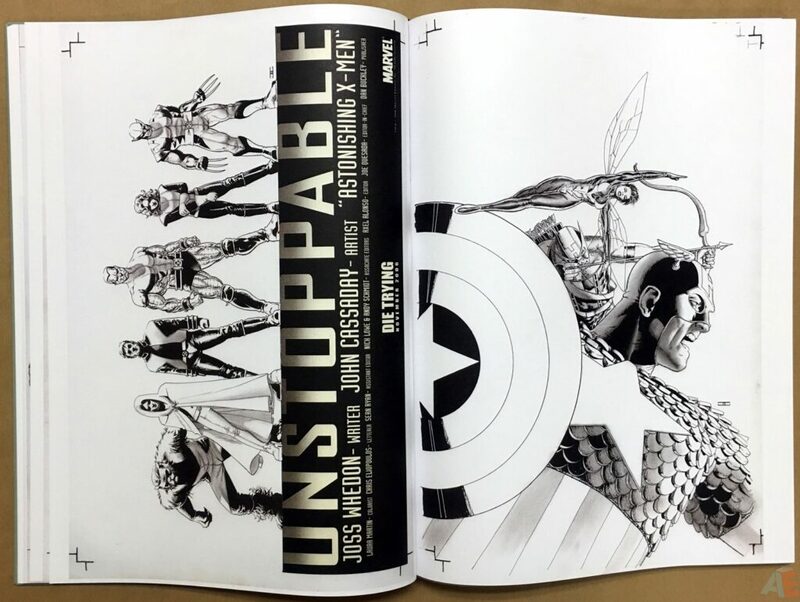 Marvel Covers Artist’s Edition Volume One was a smash hit, soon going into a second printing—don’t be caught short on what will be one of the most exciting Artist’s Editions of the year! 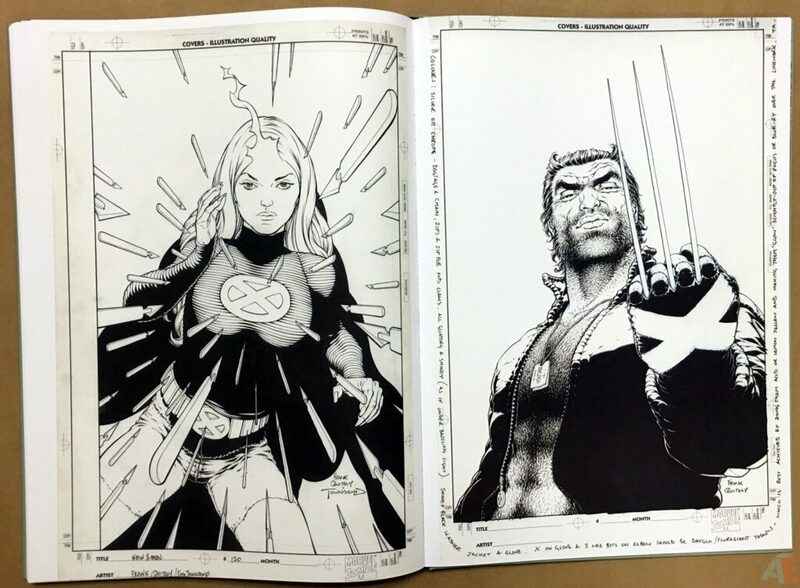 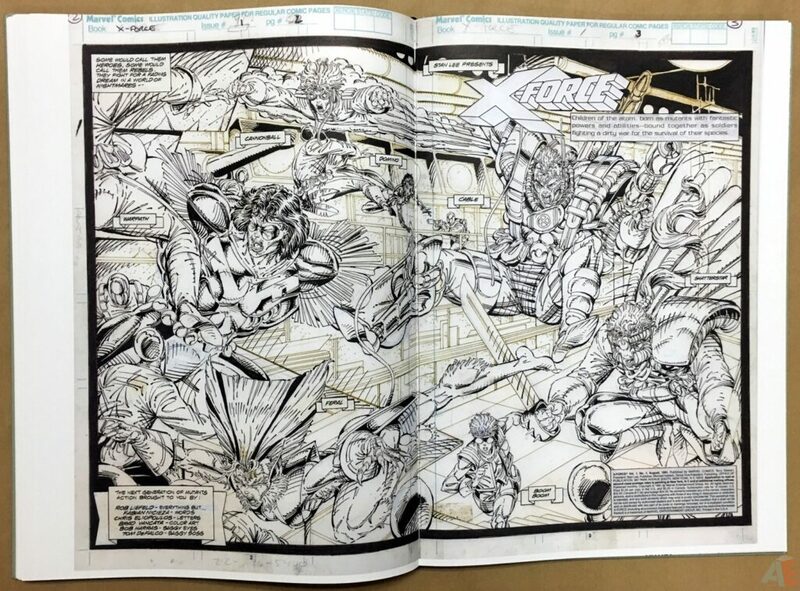 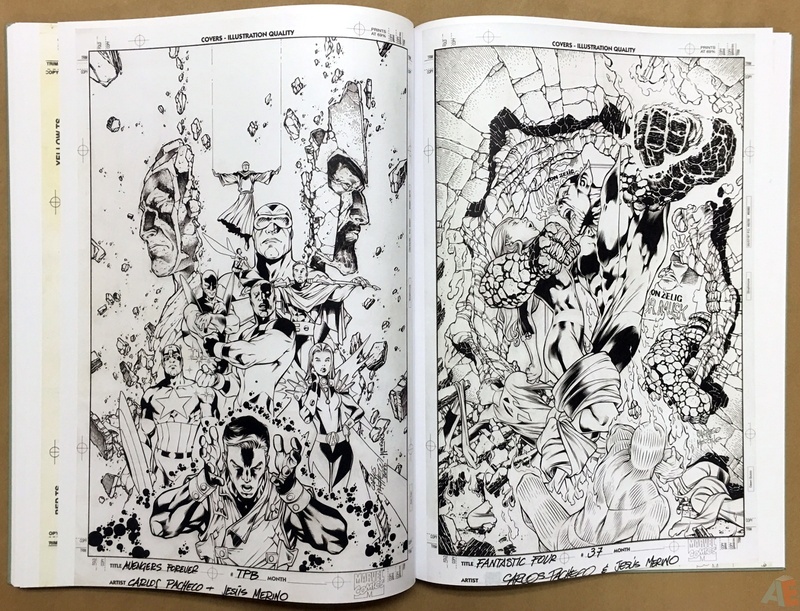 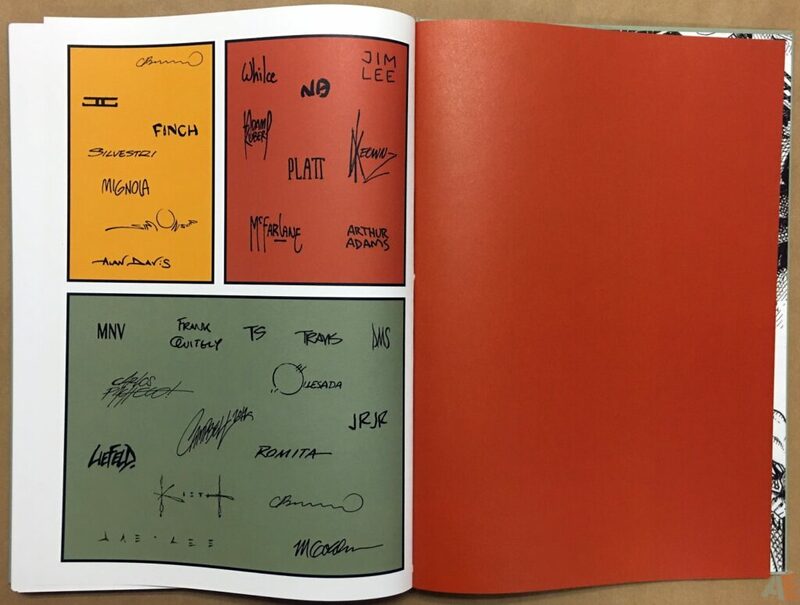 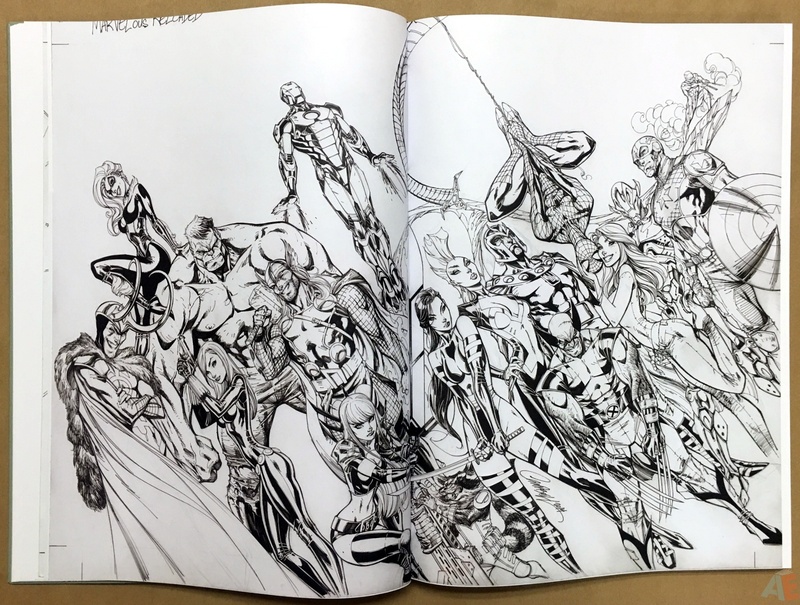 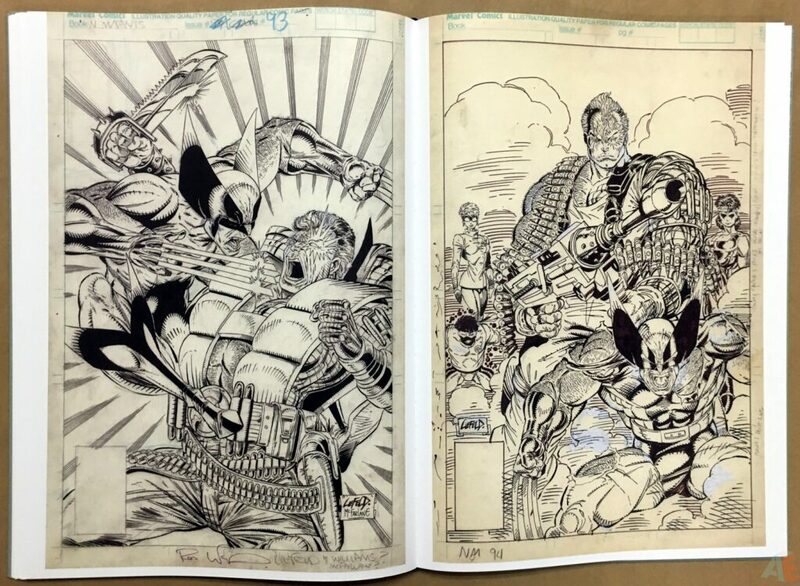 BONUS: Jim Lee’s four connected covers of X-Men #1 are featured in a double foldout in this book! 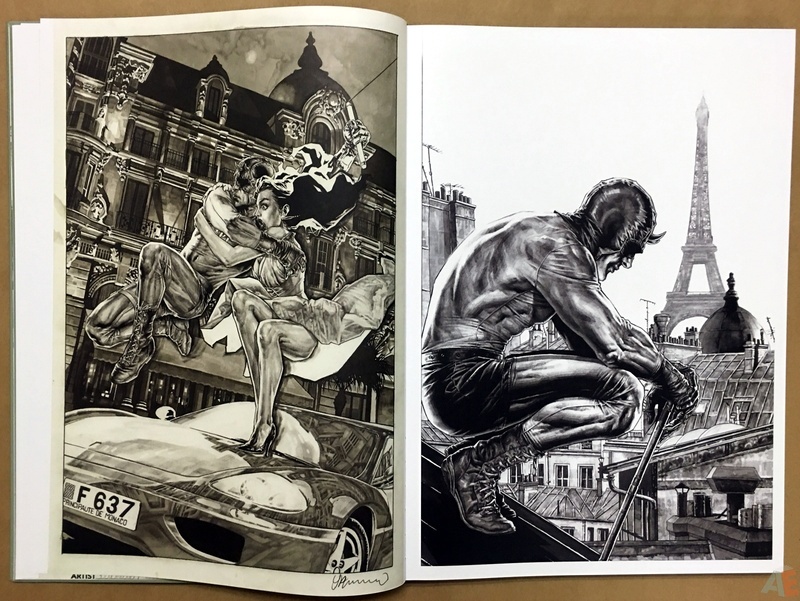 NOTE: In addition to covers, we have opted to include a selection of pin-ups and splash pages as well. 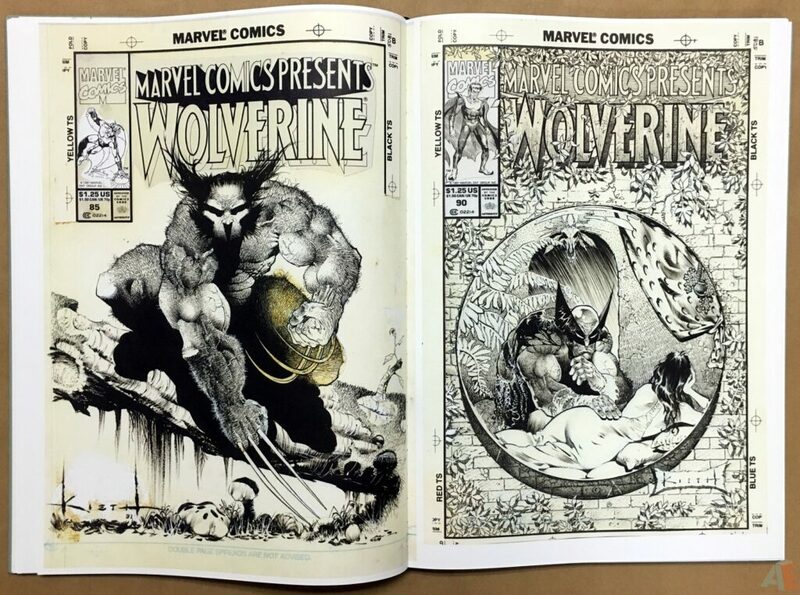 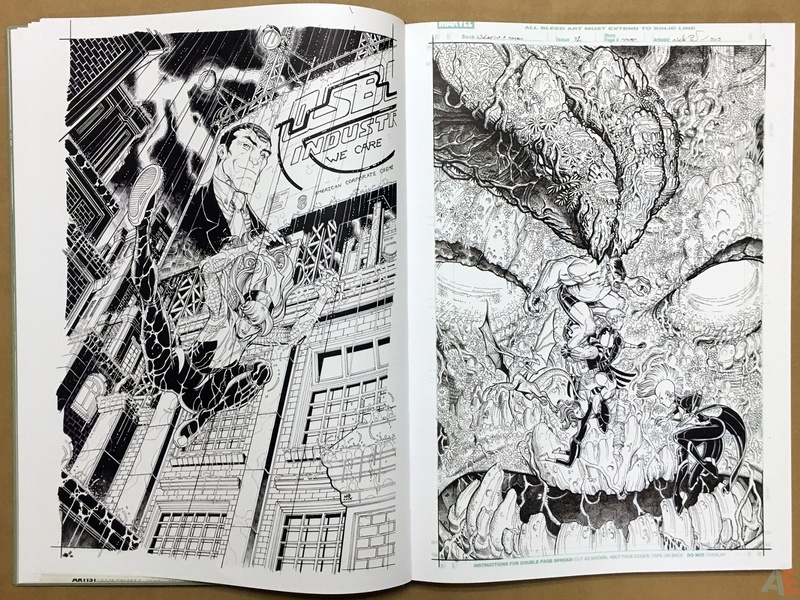 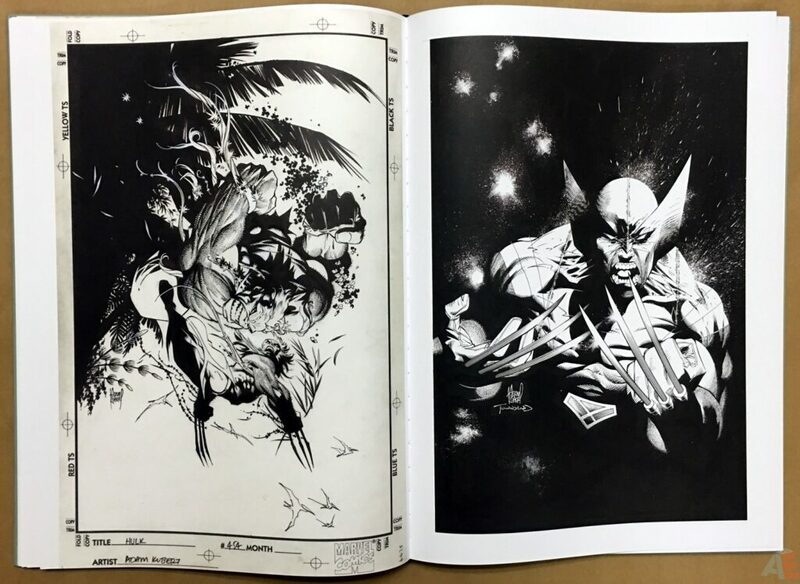 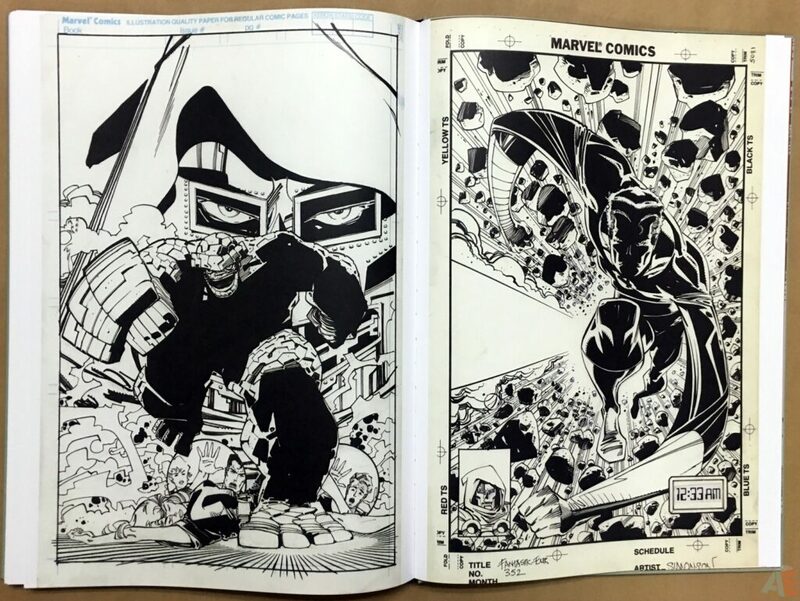 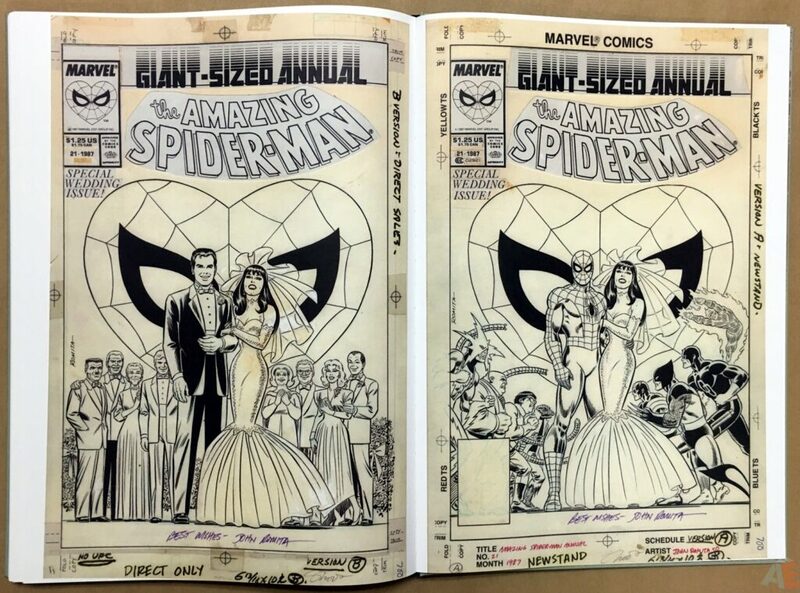 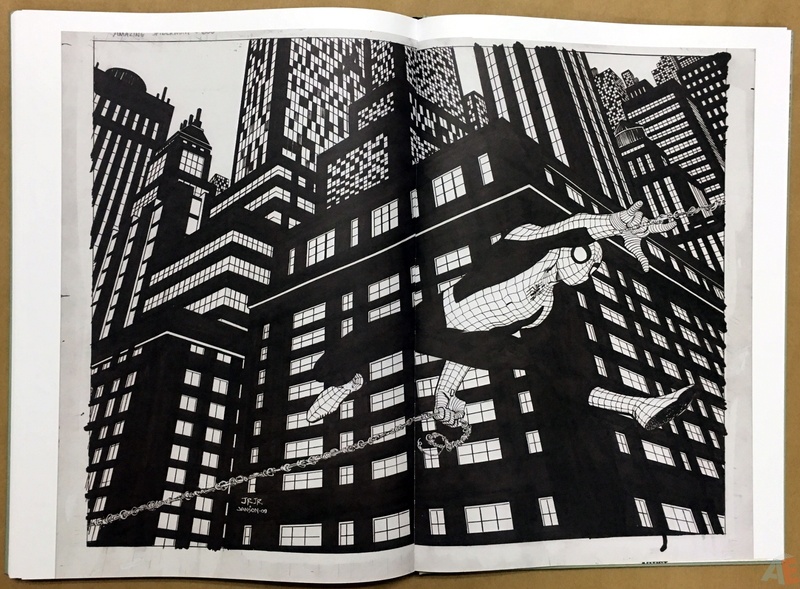 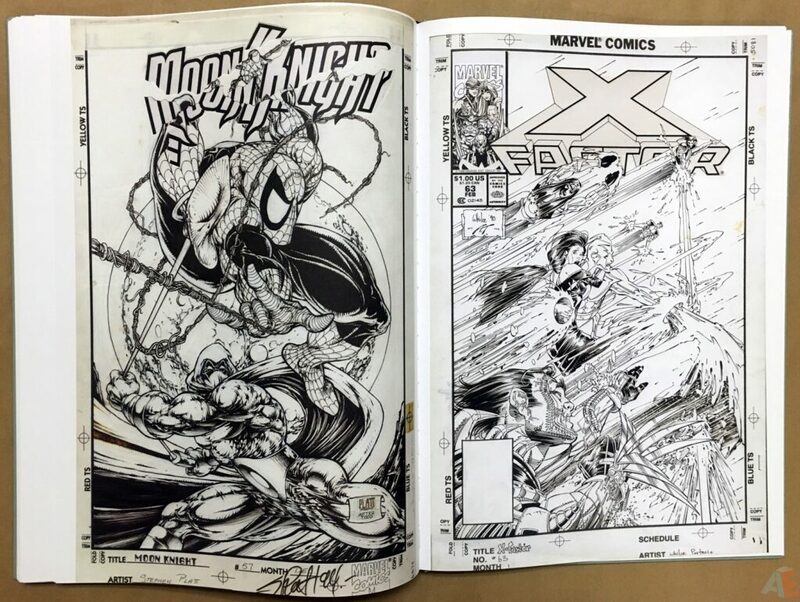 This is the first Artist’s Edition to be sold with two regular covers: one Todd McFarlane and one Sam Kieth. 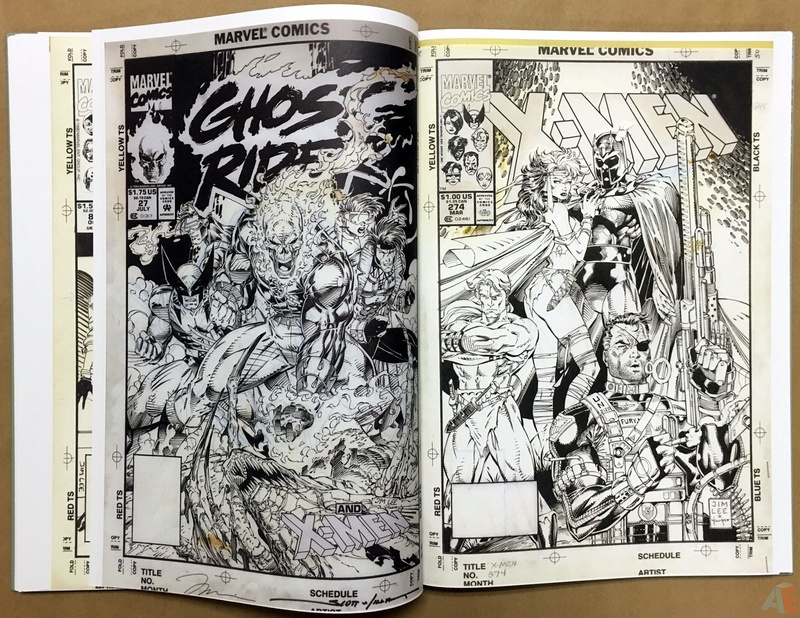 I don’t understand that, but I don’t understand any variant covers since for these types of books all covers are chosen from interior art. 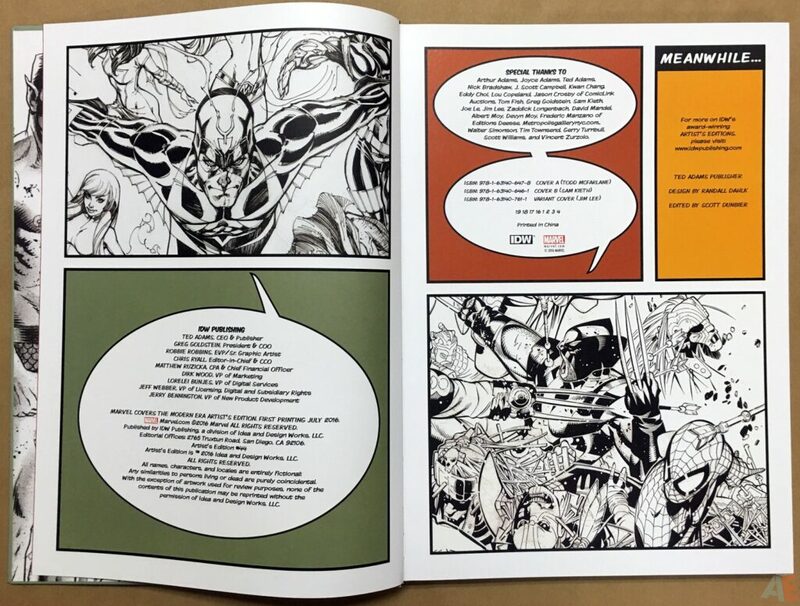 Scans are clear and all pages show well. 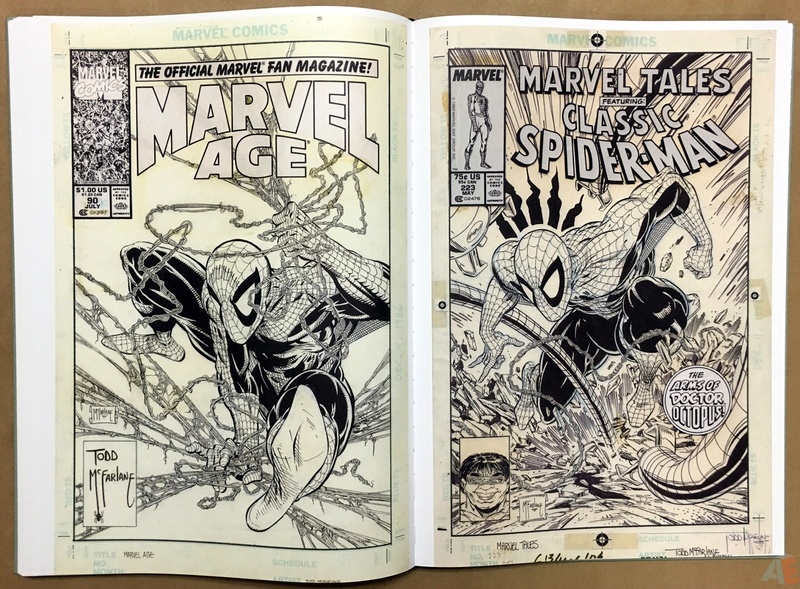 Based on the Special Thanks section these came from a wide variety of sources, and show aging at various stages, from pristine white to yellow to an odd uniform tan. No margin notes since these are covers. 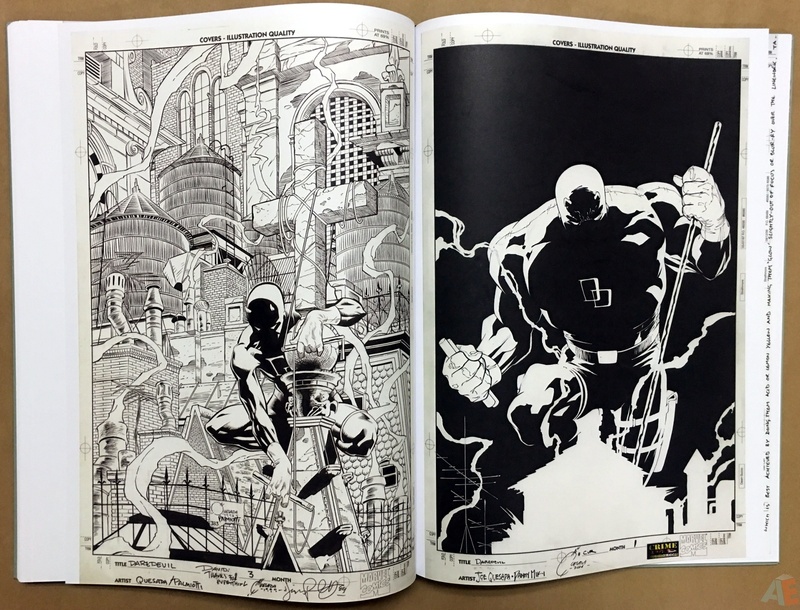 Blacks were solid for most covers; slight gradients were visible in a few, including Mignola and Romita Jr.
Dahlk has continued his design from the first Marvel Covers Artist’s Edition and it continues to be one of my favourites; the three colours work so well together, and I love the closing signature page where the usual biography is. 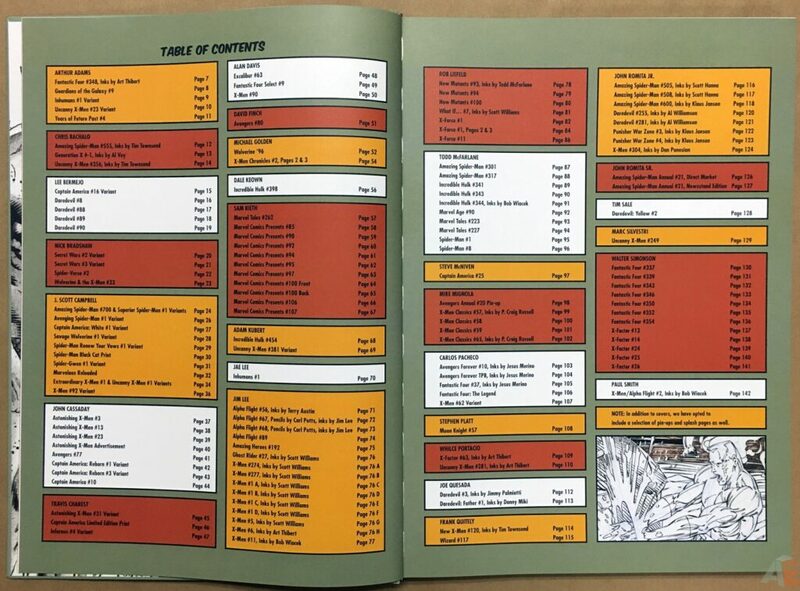 Overall excellent production. 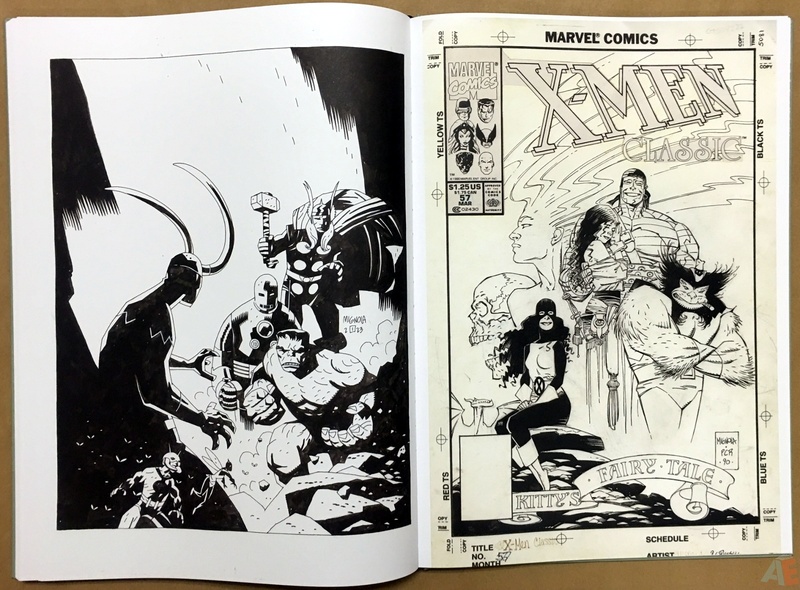 Sewn binding of thick matte paper stock. The book mostly lays open flat, with few pages resisting. 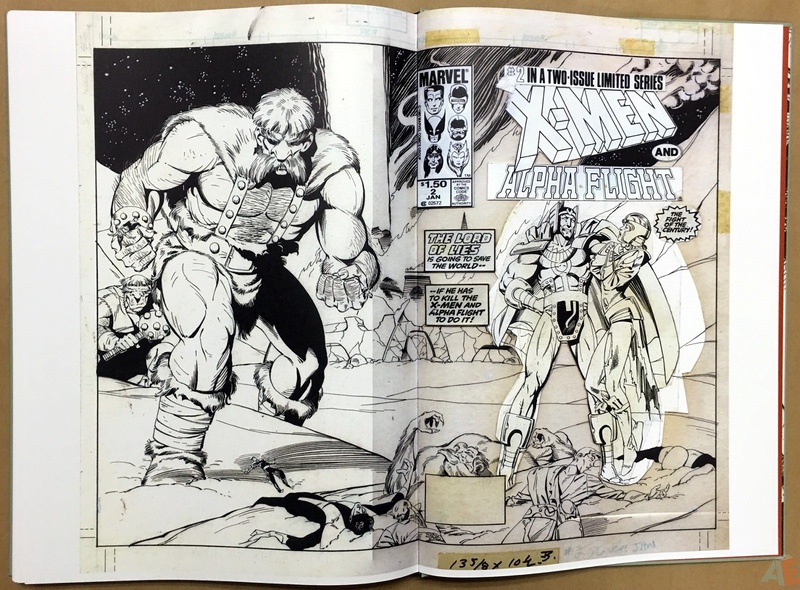 The book came without shrinkwrap in a cardboard case with a small colour sticker showing cover and UPC.